Fiber Optic LED Flower Centerpieces make it Island Time all the time, bringing the joy and blossoming with vibrant colors and light! 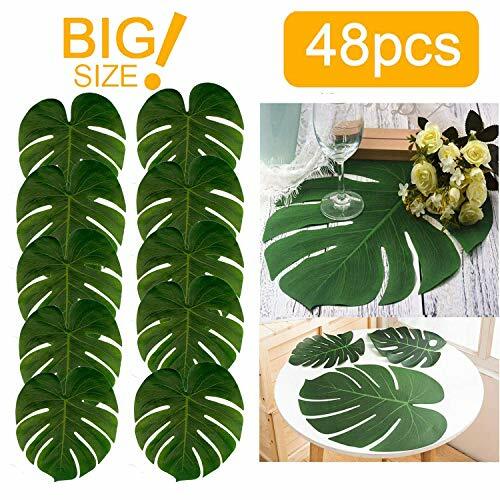 These tropical party decorations look great on Hawaiian luau table tops, or by your pool as you enjoy a cool drink on a hot summer night. 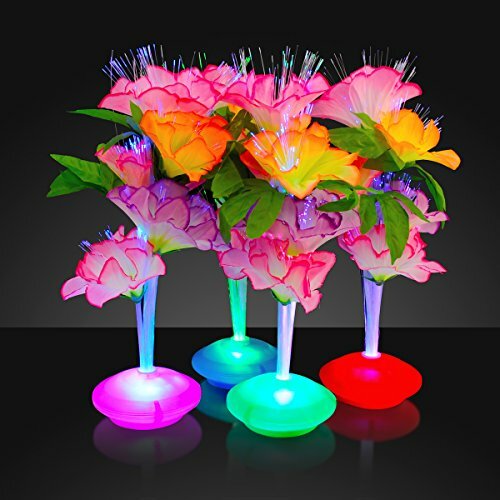 Fiber Optic Floral Centerpieces are sure to dazzle everyone with their 8 different color settings. NOTE: To assemble simply insert the Fiber Optic Flower stems into the center of the base. To activate your LED Flower Decoration, remove the battery-protecting insert from the base & press the button. With each push, you can change the color - choose from 7 different steady light color settings and the 8th setting: a slow color change that slowly cycles through all 7 colors. Dimensions: Height: 11.5 in. Width: Approx.5.5 in. Base Height: 1.5 in. 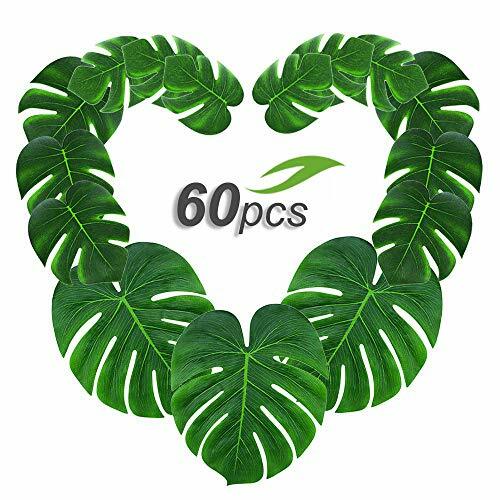 Base Width: 4.0 in. Assorted Flower Colors: Pink, Orange, Purple. Assorted Base Colors: Green, Pink, Red, Blue. Batteries: Includes 3 AA Batteries. Batteries for this item are replaceable. Beistle 55448 Luau Playmates (4 Count). 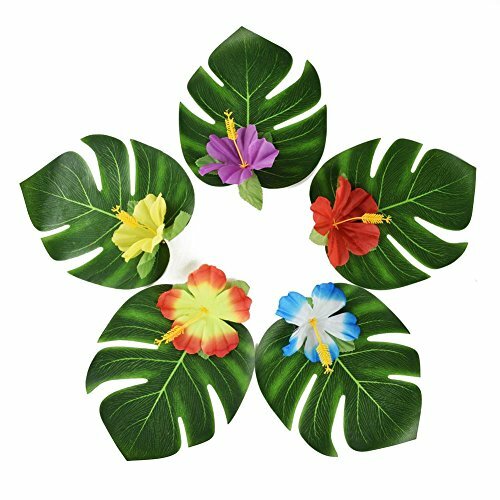 Use these colorful and fun luau playmates to decorate tables for your luau party! There are four different designs and they measure 51/2 Inch tall. Beistle 55334 Luau Pig Centerpiece. Place this cute pig in the middle of the table for a cute centerpiece! 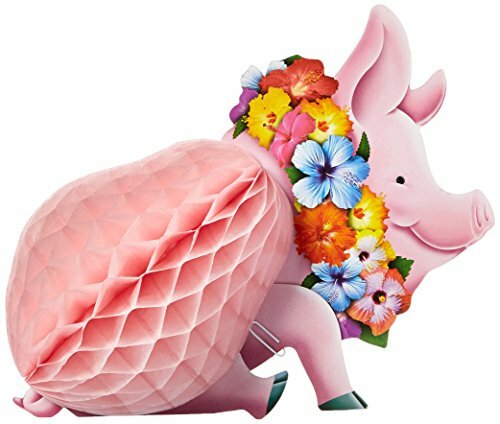 This pig is wearing a colorful lei and has a pink tissue belly that opens full-round. The pig centerpiece measures 12 Inch. 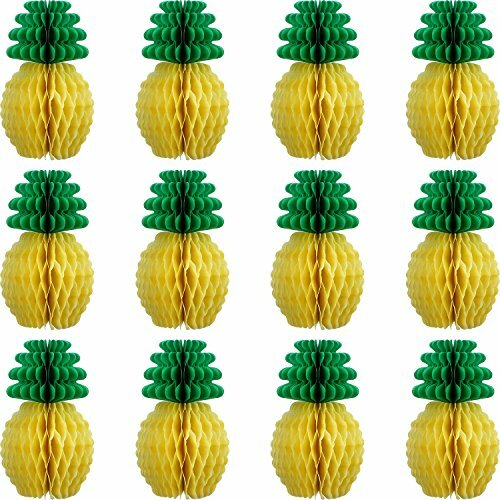 Amscan Tiki Party Honeycomb Centerpieces, 6", 2 Ct.
Deck up and dress up your tables with this fun and lovely tiny dancing girls. You and your guests will surely want to dance the hula around these Tiki Honeycomb Centerpieces. So get the party started and make your tables look amazing. 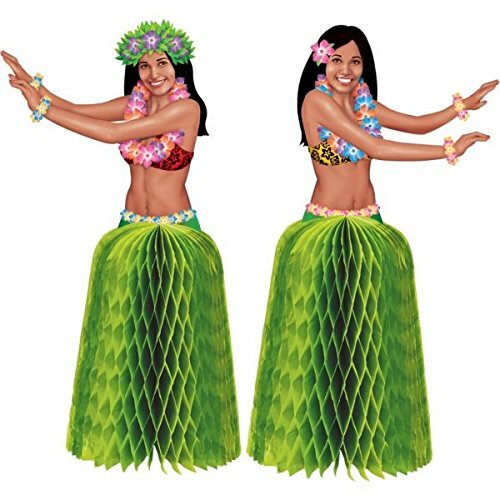 Don't be afraid to ruffle those grass skirts and dance the night away.